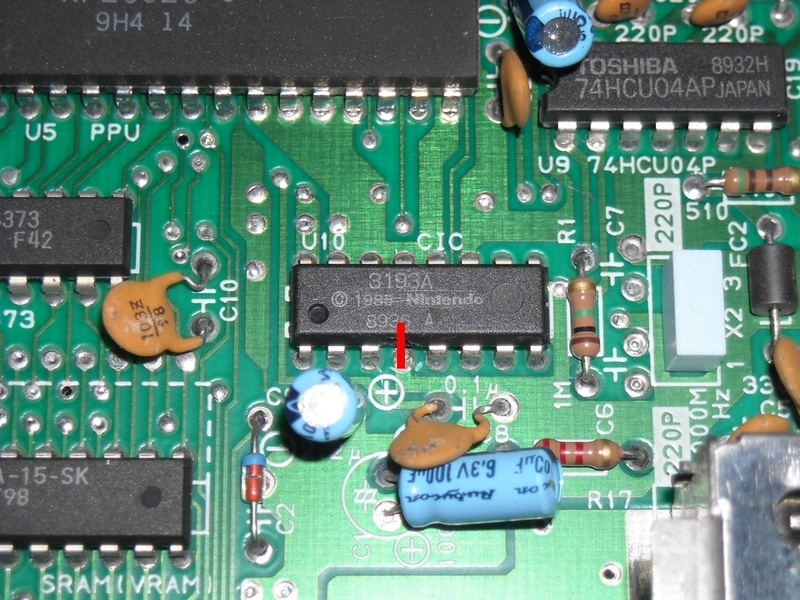 So what is the NES10 lockout chip that almost all gamers talk about when they bring up the downfall of the NES? 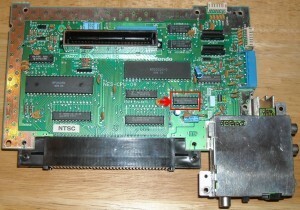 Well, while designing the NES Nintendo decided they wanted complete control over what games could be played in their system, thus creating the fabled NES10 lockout chip and forcing anyone who didn’t pay their license fee to spend most of their time and money figuring out a way to bypass this chip. Many companies, such as Tengen, Colored Dreams and Wisdom Tree, managed to bypass the chip with seemingly great success and ease; I assume there were others who put so much effort into trying to bypass it they could no longer stay in business to release games. But another thing that the NES10 chip did, that Nintendo never really seemed to think through, was keeping officially licensed, yet slightly dirty games from being played on the NES as well. 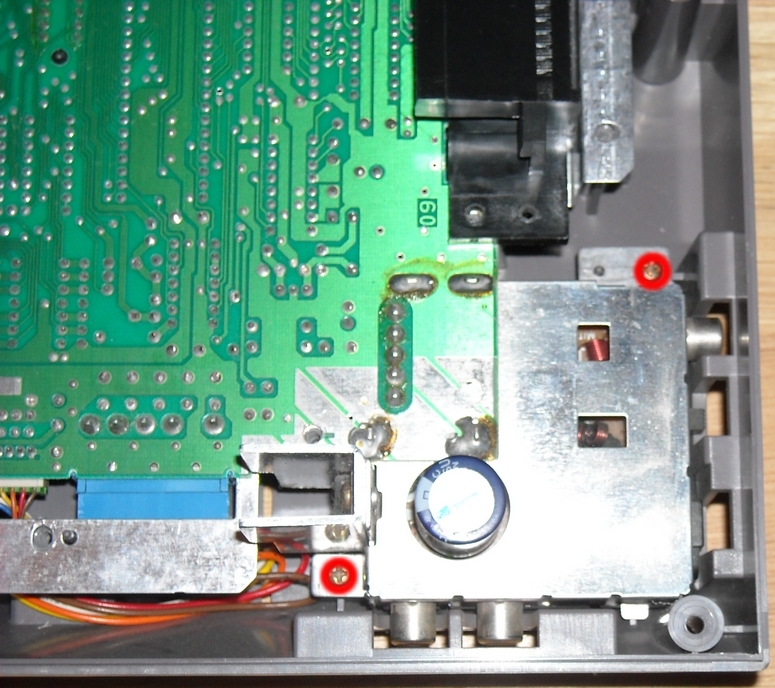 While most NES fans will quickly point their fingers at the ZIF (Zero insertion force aka 72 pin connector) connector inside the system for giving off a brilliant light show instead of playing your games, I personally have found the NES10 to be more problematic. 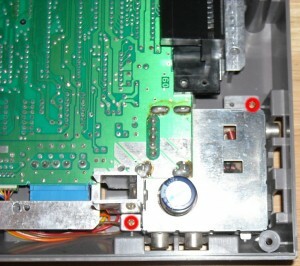 The main job of the NES10 is to make sure the chip inside the cartridge matches up with the NES10 inside the system, but with a little help from a slightly dirty or misaligned cartridge inside the ZIF, even an officially licensed NES game will cause the NES10 chip to reset the NES over and over again, warning you that it is in control and about to exterminate all humans.. Where is Dr. Who when you need him? 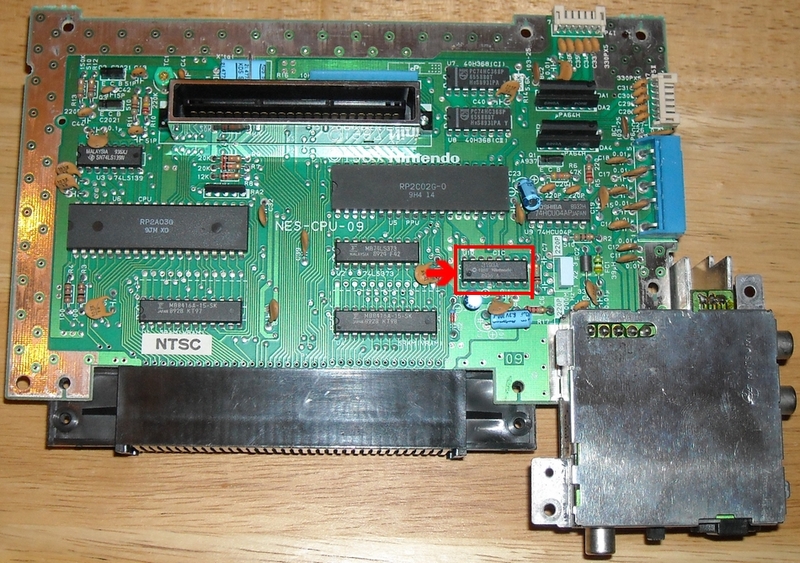 While taking apart a broken, yet still functioning, NES to repair the NES from my childhood I decided I would disable the NES10 chip. Mere moments after I had already perform the mod it dawned on me that I should have taken before and after photos for a tutorial. Well its too late now, but I am going to write up a photographic tutorial on how you can disable the NES10 and make your NES work better. 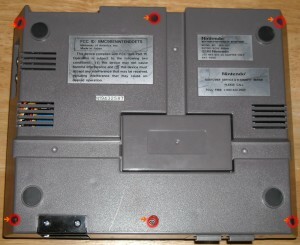 First of all I must say that I, or anyone else at TheVintageGamers.com, will not be held responsible for the result of your modification to your own NES, even under my instructions. The mod is simple, yet precautions must be taken as well. The results are yours and yours alone, successful or otherwise, so be careful! The first thing you will need is a willing NES, as we here at The Vintage Gamers don’t condone modifying any piece of vintage gaming equipment without it’s prior and expressed consent. Secondly you will need a medium philips screw driver and a place to lay out the (figuratively) hundreds of screws you will be removing and needing to replace once you’re done. You may want to take the time to label each screw set; they’re not very diverse but spending 15 minutes trying to sift through them all to find the right one for each given spot only takes away time from enjoying your newly modified NES, we don’t want that now do we? 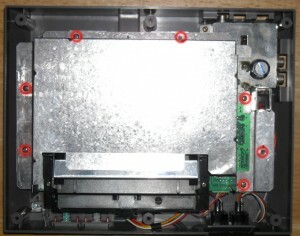 Step 1 will require you to turn your NES over on it’s lid and remove the 6 screws from the bottom holding the lid on. 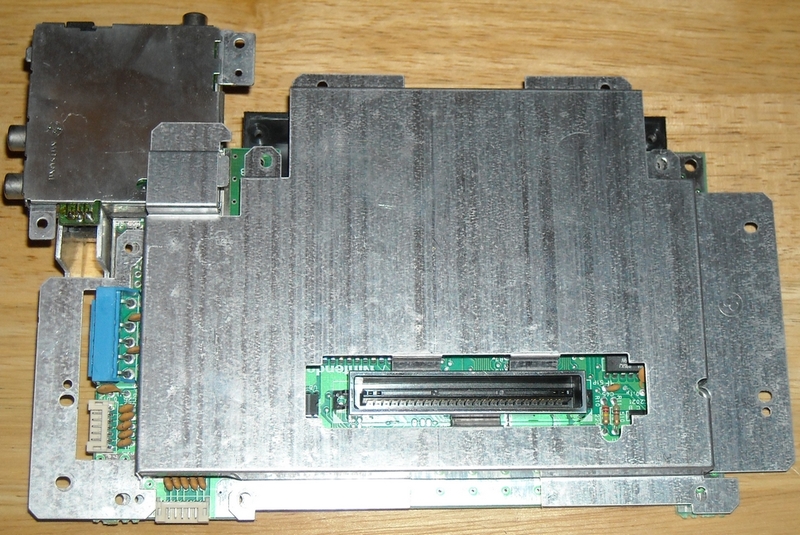 Once all 6 screws have been removed, flip your NES back over and its time to tackle the RF shield. 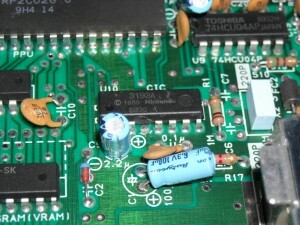 The RF shield is being held down by an additional 7 screws. 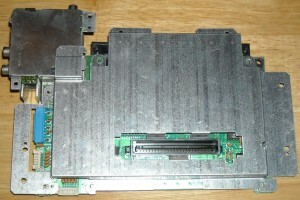 Now its time to tackle the tray that the NES games slide into, which is held down by 6 more screws, a set of 3 per side. Once you’ve removed the 3 screws on each side you’ll need to carefully pull the tray forward and up slightly to get it clear a few things, so you can remove it. This can be one of the most frustrating things to both remove and put back into place, at least it was for me, so take your time and be careful with this step. 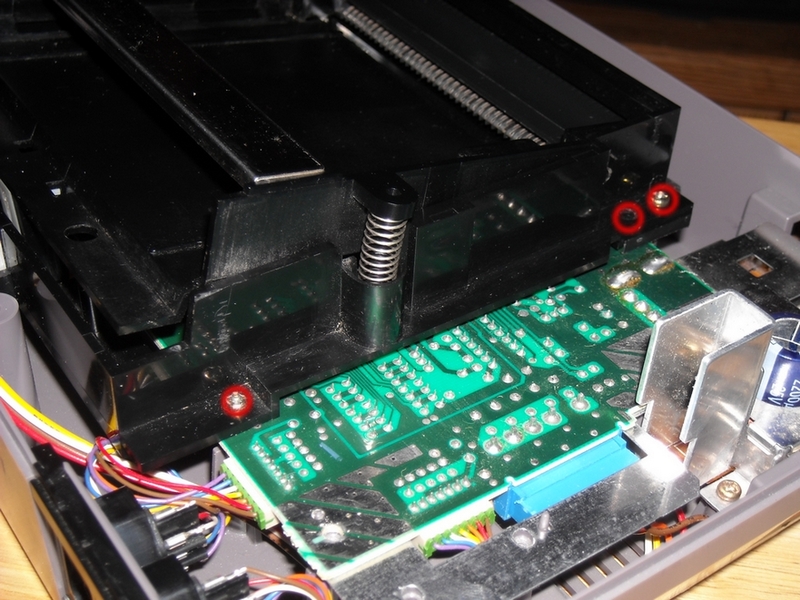 Next you’ll need to remove the 2 screws holding the motherboard and the power input/video output box into the shell. Sadly with all those screws removed you’re still 3 simple clips away from removing the motherboard from it’s shell. Carefully remove the 2 green clips and the 1 (larger) blue clip from their place on the motherboard. Freedom! You can now remove the motherboard and flip it over to get ready to modify. Another RF shield in your way? Not a problem! This one simply slides off, just place it aside and get ready for the next step. 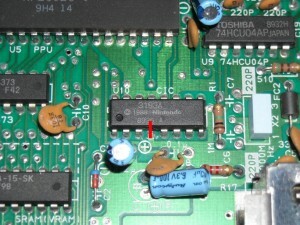 I’ve outlined that pesky NES10 chip in red, you may also notice some capacitors sitting just below the chip. You’ll need to be extremely careful with the next step and not knock these off. 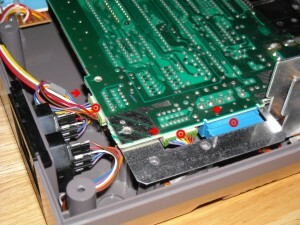 For this step you’ll need something such as a smaller flat head screw driver or needle-nose pliers, but only pry on the marked (and missing in the photos) pin of the NES10 chip. Again, make sure you take your time removing this and don’t accidentally knock off a capacitor or bend any of the surrounding pins on the chip. My results here look more like a broken tooth, rather than a professionally extracted one, but the affect is the same. I’ve seen other tutorials that say to simply bend the pin upward and solder on a ground wire, but I’ve personally found no issues with simply removing the whole thing entirely. But only that pin of the chip! Since you already have your NES open to do the NES10 modification, perhaps you want your NES to work even better! 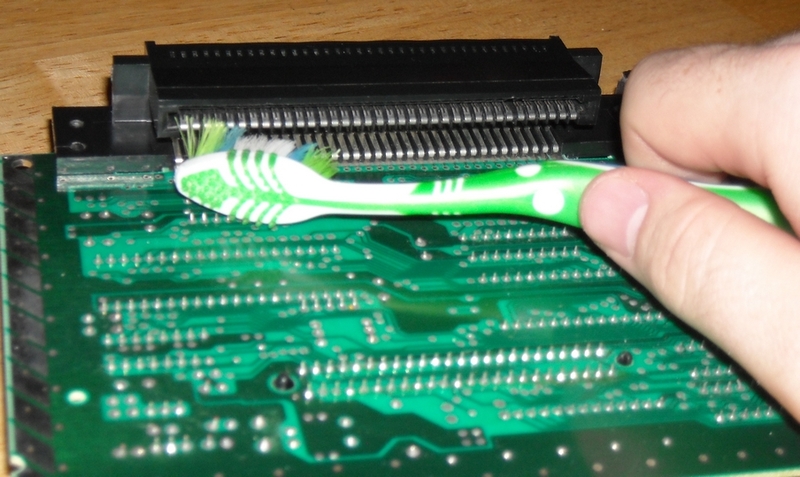 Well take an old toothbrush with some rubbing alcohol and give that old 72 pin connector a good rub down. Just make sure you use high % rubbing alcohol as the other ingredient is water, and we all know water and electricity don’t mix very well. Once you’ve disabled the NES10 chip and given the 72 pin connector a thorough alcohol bath, reassembly is just the reverse of what you just did to take it all apart. Hopefully you managed to keep track of which screw went where, or maybe you’ll luck out and have everything fit the first time. Either way the results (if you did everything correctly) will be an NES that works much better. Even though I’ve modified my NES and cleaned out the 72 pin connector, I still prefer to make sure all my games are clean. Either way your NES will now never blink off and on ever again, in fact if there is an error it will simply go to a solid colored screen, while remaining on. 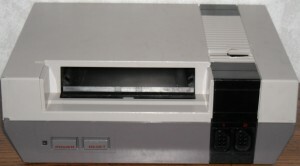 If you don’t want to crack open your NES I highly suggest keeping your games clean and maybe even trying to track down a good old cleaning kit, just to make sure its as clean as possible and works properly. Thankyou for such a clear and informative tutorial. This works so well!! I have a fully-working NES now that plays games! YOU ARE A LIFE SAVER!! !